This is a self-attunement Reiki system I created after practicing yoga daily for a week. I ask that you have completed Usui Reiki Level One before taking this self attunement. If you need to learn Usui Reiki see the online class under "Where to begin". As you know if you have studied yoga there are many different forms...pick a couple that resonate with you and begin to practice daily for at least 20 minutes by yourself, online view YouTube or in a class. Like the Nike ad says "JUST DO IT!". Yoga teaches us balance, flexibility, centeredness, ability to listen to our bodies, learn our limits, gain deeper relaxation and meditation. This is a form of Reiki for me because you set an intention, you focus when you send energy, you begin by working on yourself and can send the energy to others. There are no new symbols to learn or remember. But first you need to develop a flow of yoga practice that works well for you and feeds you. Take at least one week to visit different forms of Yoga Classes. Pick and choose which postures or stretches you really like and feel good to your body. Practice for at least 20 minutes each day until it feels like a natural flow for you. 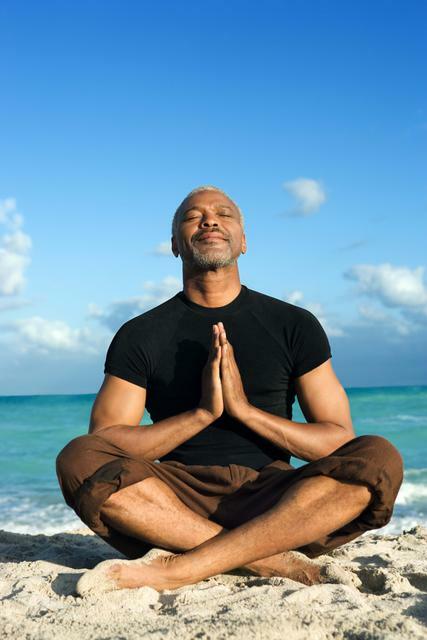 Always end your Yoga with at least 5 minutes of relaxation and meditation/keeping your mind quiet and silent. After 7 days...move to step two. By now you will be experiencing some of the spiritual gifts of Yoga, at the end of your practice during the time of relaxation you will now add Reiki first to yourself for 3 days. This time at the end of your Yoga now needs to expand to at least 10 minutes. As you are relaxed, scan your body to see if there are areas you still experience tension or soreness.....image a lotus flower starting as a pod then blooming to a open flower in this area as you say "Yoga Reiki On!" As the tenderness resolves...move to the next area until all done with your entire body. End this step by saying "Yoga Reiki Thank You for this healing!" This will begin to close down the Reiki flow. After 3 days of using Yoga Reiki just on yourself, you may begin to add on others after you first scan and send to yourself for the 10 minutes of meditation. At first add one person, then gradually add more. This will take the form of sending distance healing by first seeing a image of this person in your heart...feel the love and affection you have for this person. Now try to scan them from a distance to find which areas need healing...as you find one send healing by seeing a candle lit in this area....see the flame intensify and grow brighter as any negativity is burned away and the healing begins in this area. Blow out the candle when you feel this area has been healed/balanced and move on to the next. When you feel you are done sending healing to this person say "Yoga Reiki thank you for burning away any negativity and healing ( their name)!" This will stop the connection with this person...then go on to the next person repeating the same steps. You can also send distance healing to an event, a part of the world, a crisis, etc. Continue your daily 20 minute practice of Yoga always first, send healing first to yourself and then add on others afterwards. Do not go over 10 minutes of sending healing both to yourself and others. One day send to one person and then add a new person the next day...you can go back and forth this way or add new people each day as need...share the love and joy with all freely! Please consider sending a donation via PayPal for the gift of this self-attunement. Give as you can...it will support the continuation and growth of Reiki & Energy worldwide through this website...it will make a difference in other peoples lives and in the world we live in. Thank you for exploring with us...always share your gift freely with all in loving compassionate service!